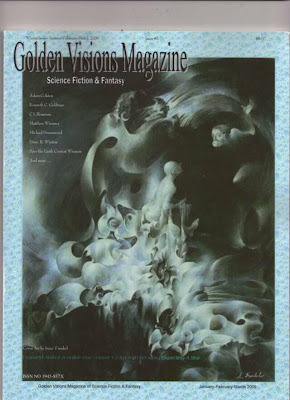 The new issue of Golden Visions magazine is now out and contains my story Three AM. The story is set aboard the orbital habitat Astropolis, the setting for my previous stories The Blind Collaborators, Travel by Numbers and Up To My Neck In It. It's a bit of an experimental story - the same incident told from three different viewpoints. It's a bit of a mundane story that is barely SF except for the setting. I enjoyed working on it though.